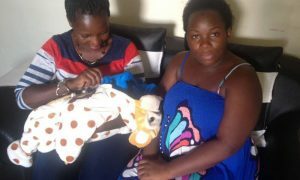 On Thursday afternoon, singer Hajjati Stecia Mayanja Mubiru announced that she is no longer an employee of the popular local band called Golden Band. But sadly before she left, the singer decided to spill out the dirty secrets of her former music camp. Among the shocking secrets is the marriage the singer was forced into when she was still an upcoming singer in the group. Too much greed, hatred, unsupportive tendencies of the band directors to fellows are some of the other major reasons that have been raised by Stecia as she announced quitting her long time music group. 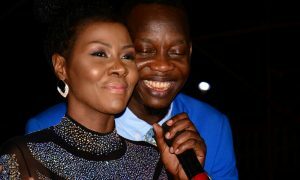 According to Stecia’s explanation on her social media platform, her hard work, sweat and sacrifice she had dedicated to the success of Golden Band have been paid back by hatred and greed by the band’s music directors which made her encounter a lot of life career challenges as a mother and a wife too. “Good afternoon members of Golden band and directors, hope all is well with you…. mine isn’t well at all I have loved my job and my company with all my heart,I’ve done a lot and scarified a lot for my band, i went through unwanted marriage for the sake of my company, faced all hard times in my marriage without anyone’s help but only Allah’s because of my company. Worked so hard not missing any shows no matter what for my company. Taking risks of preforming alone or when we’re only two at the show not even thinking of the outcomes from the audience yet we’re many on the poster all that for my dia company. Driving long distances alone from my part time jobs to my official job to show the love of my company. Being patient and continued working for those who don’t come for my shows because of the hatred mbu they have to me because of my company. Being patient when i buy shows for my fellow workmates it results into a very big problem and it had to call for a meeting because of my company. Being patient after buying shows and being taken by my bosses mbu they have issues as if i don’t have issues while buying them all that for my company. Being patient after buying a show from one of the directors and being called off due to the missing of artists gwe ate munange nali yimbye bwo mu sente zankoma mu ngalo nenzidiza abantu i kept quiet and continue working not missing any shows for my company still. But what happened recently beat my understanding,it was a shock it was too much for me, I couldn’t stand it,i asked my self why me and why always me why….???? ?Up to now i don’t have answers to my questions,i was in the booking my self as usual, i saw people….a lot of people imagine in lines coming towards the booking i received a call that i should leave the booking…..! Really…!people almost killed me nga they want tickets, bambi i had to leave the booking and wait for the last decision,refund money or continue collecting, people went mad they started fighting all i had where bullets, after a while i was called to go back to the booking refund 3000k to people that where already in and collet 5000k from those coming tell me was that still a show..? I did so because i at least wanted to get money for the drive and police i had borrowed era i was very happy by that time unfortunately many people had already left after hearing the announcement that its only me and Kusasira present and also the bullets shocked them”oho what loose”i couldn’t stop crying the whole night forgetting that i have high blood pressure i almost lost my life because i fell down and went unconscious for almost an hour or two the doctors told me after that if i hadn’t gone to the hospital in time i was going to lose my life or remain paralyzed for the rest of my life i thank the good Samaritan that rushed me to the hospital. But all the for what….? Mbu for the love i have for my company…..forgetti­ng that my company will never ever get my love back… uhmmmm..! I was very stupid i would’ve loved my job other than my company. My company has disappointed me soo much. I thank all of you for the opportunity you gave to me of working with you on your platform i repeat your platform. 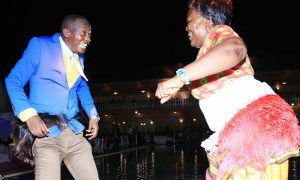 I thank you for the parental love you have shared with me am going to miss it. I thank Mr. semakula for having trust in me. I thank all of you for accepting me and have faith in me i believe I’ve not disappointed you in anyway. I thank you for the good times and bad times. I also thank you for the hatred you have always shown me,you’ve made me strong and taught me a very good lesson that no society will ever defeat me i thank you soo much for that . Why am i writing all this….?? Ur asking.. it’s because i am no longer a member of “GOLDEN BAND” i am leaving the band forever. I am not ready to leave my kids at this time because of the pressure of this band. Neither am i ready to leave a paralyzed life forever. My dreams are still demanding that’s y I’ve been working tiresomely to fulfill them,unfortunately my workmates have already fulfilled there’s that’s why we’re not on the same page.I am writing this with tears in my eyes but left with no option . My eyes are crying but my heart is free…. I’ve never ever expected this to happen i thought we will be together for life that’s why I’ve always been patient. I have never thought of leaving this band but the situation has forced me to. I am not going to seat because i haven’t fulfilled my dreams or goals i will continue working but with only those who are still looking for their dreams or goals to come true. I always stand on my words. I am not a hypocrite though some of you have failed to understand me. And when i make a move i don’t move back that’s y i take time to make a decision and that’s why I’ve been going through painful times hoping for a change because i heat regrets but all in vein. I respect you all and i will always do so. So please respect my decision. I have forgiven you all and now my heart is free. 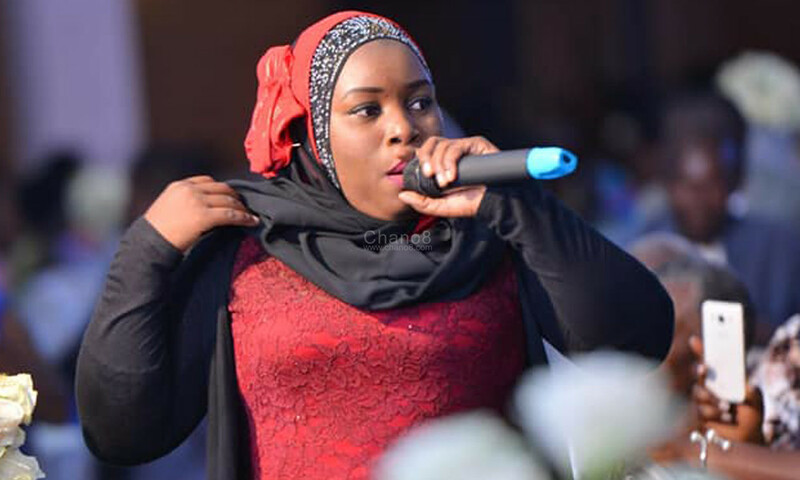 Asalaam alaykum warahumatullahi wabarakatuh,” affirmed singer Stecia Mayanja.